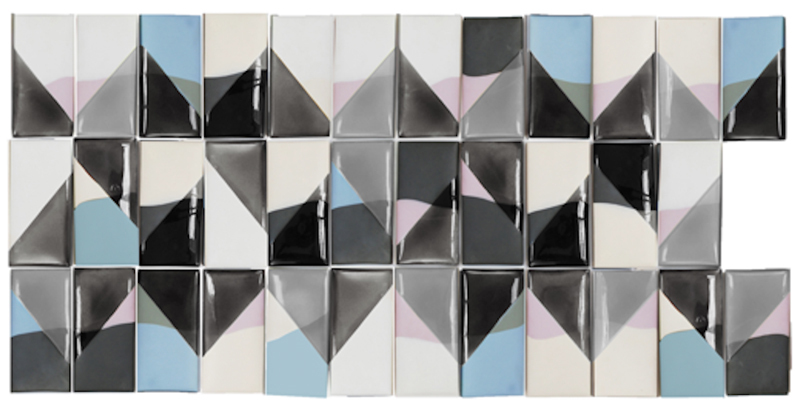 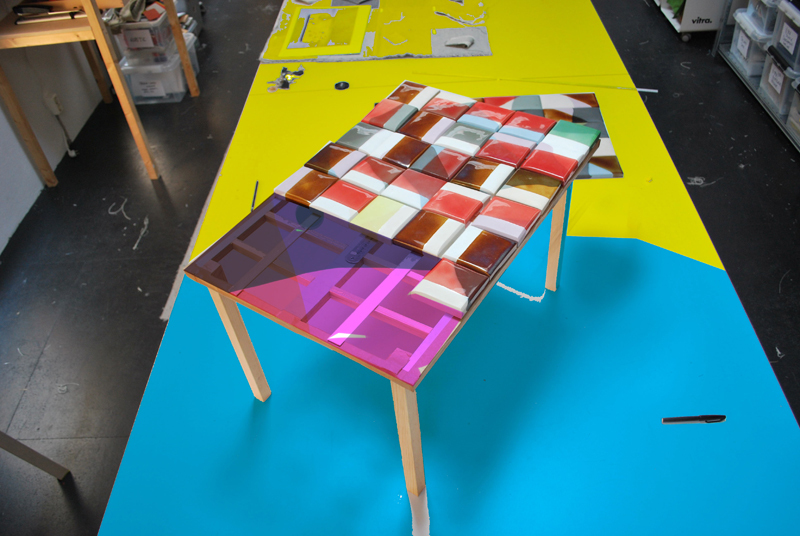 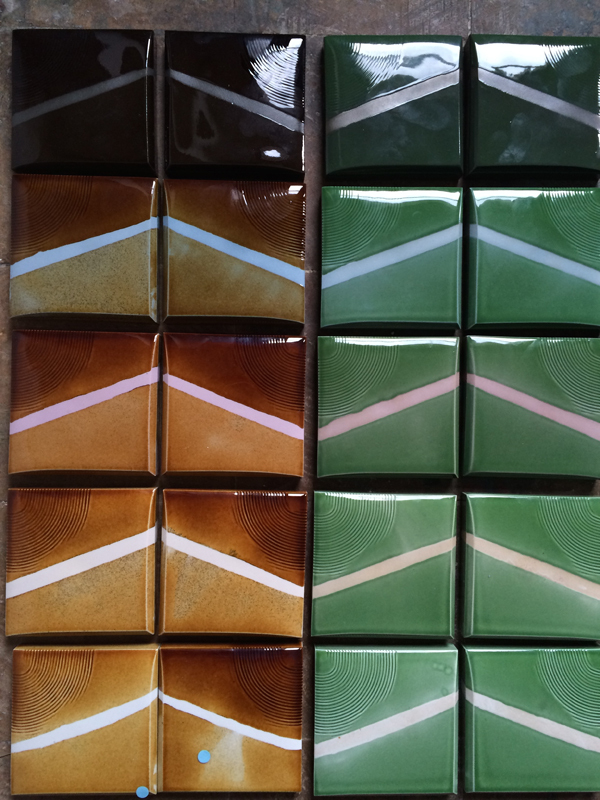 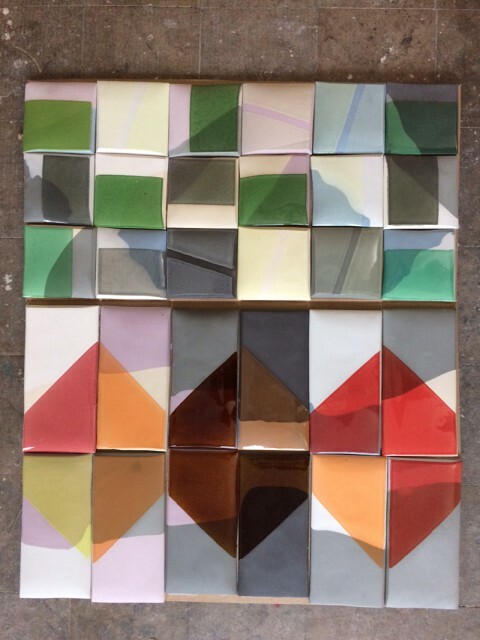 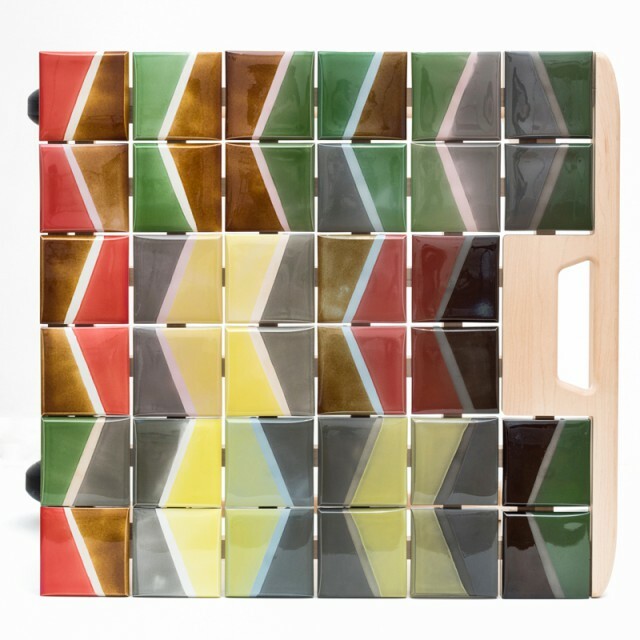 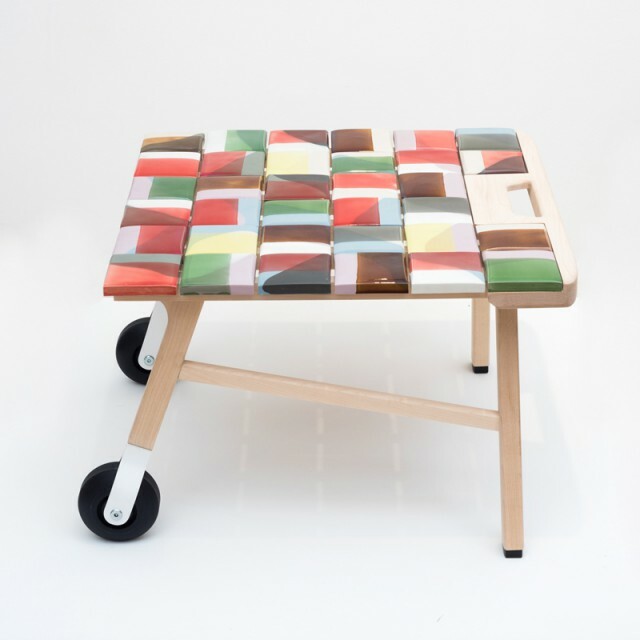 The Tile Tables show the result of an extended colour research in ceramics, using a limited palette of clay and glaze colours. 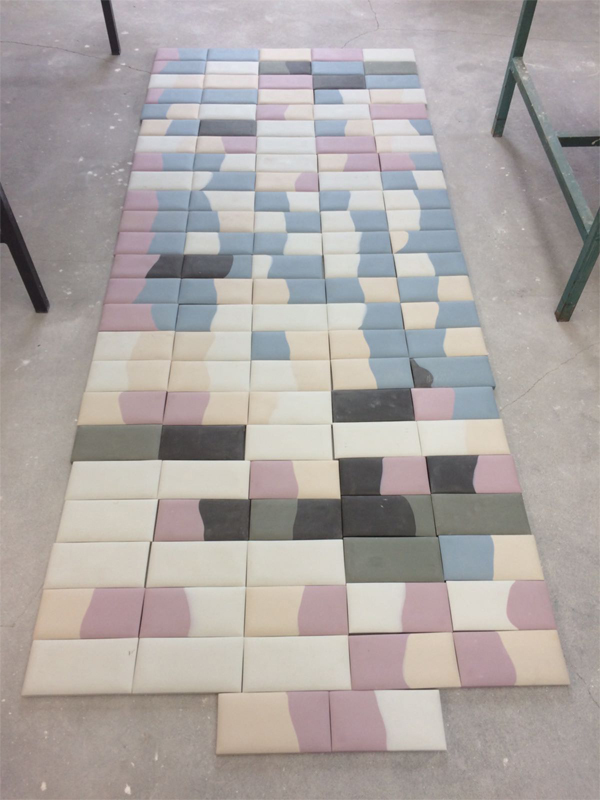 New and unexpected colours emerge by layering the glaze on coloured clay, a technique also seen in early oil paintings to achieve a wide range of colours with a limited range of pigments. 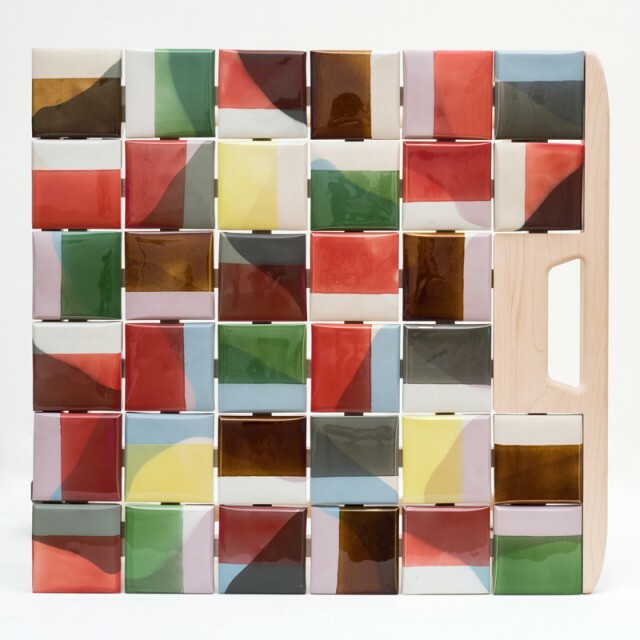 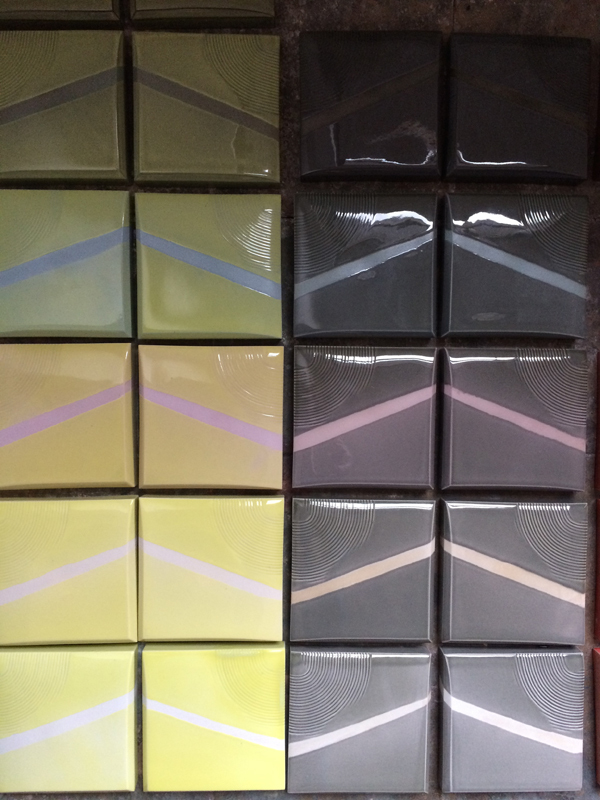 Colour is often the outer layer of an object, but in these ceramic tiles it is the material itself that makes the colour. 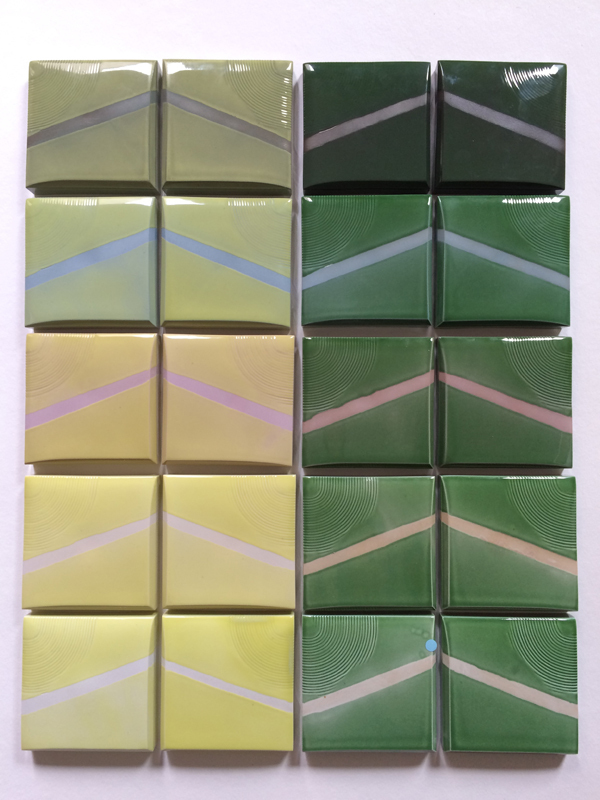 In each tile, the glaze partially covers the clay exposing the naked clay colour in contrast with the glaze layering on the basic colours.